ErikaFerguson - JORPA INGENIERIA S.A.
Ms. Ferguson is responsible for providing strategic guidance to Doble customers and pursuing new business as it relates to Asset Transformation utilizing Doble Knowledge, Services, Solutions and Analytics, such as condition monitoring and asset risk management solutions. In addition, she assesses the eco-system for asset management and negotiates partnerships and cooperation between disparate vendors in support of utility business goals. Ms. Ferguson has spent 10 years with a utility in the US, supporting transmission and distribution dispatch operations. She participated in 24/7 on-call rotation to ensure reliable delivery of service to utility customers. She was vocal in implementing a data exchange system between interconnected utilities to support reliable operations. She understand real0time control systems and the need for appropriate response during critical times. 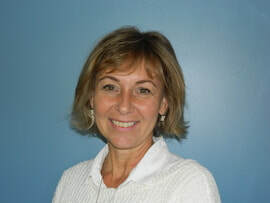 Ms. Ferguson has chaired and been a member of several US Western Interconnection Committees to foster necessary cooperation between interconnected utilities. As interconnected utilities and systems are based on the reliable operation of assets, asset management is key. Ms. Ferguson has 20+ years of direct vendor experience with ABB, Alstom and OSIsoft prior to her position at Doble Engineering. Her business roles have included business development, strategic relationship management, project management, and control system software development. Her experience with different vendors augmented with utility experience gives her a unique insight into the challenges of asset life cycle management with respect to the overall needs of different facets of an organization and its opportunities for business growth supported by data and analytics. Her initial degree was in Physics, supplemented with computer science and finance.